But because someone says truth is relative, does it make it so? No, and you know this. One is a sign of healthy grass. The other is a sign of dead grass. Yet there’s typically only two colors of grass. Now, if you looked out your window and saw a lawn full of green grass and someone told you the grass was pink, what would you do? You’d probably laugh. I know I would. You wouldn’t coddle the person and tell them they’re right. After laughing, you’d probably correct them. You’d tell them: Sam, the grass isn’t pink. The grass is green. The truth is the grass is green. There’s no two ways about it. You cannot change the fact that the grass in front of you is green. It is what it is. And grass being the color green is the truth. You can try to twist the truth of the grass’ color as much as you would like. Your twisting of the colors wouldn’t change the truth. But how often do we try to twist the truth when it comes to our businesses, organizations, or relationships? We try to twist the truth to what suits our desires, needs, or wants. And still, no twisting of those truths makes our lies in business any less wrong. There’s a reason truth matters. Truth is a guiding compass for what is right and what is wrong. You can look at the truth and know whether or not what you’re doing is right. Truth allows you to know true north. It allows you to get to the destination you’re heading. And it helps you accomplish this with integrity. Be careful of twisting truths to fit your narrative. It’s a dangerous path to go down. You’ll have an unshakeable character. You’ll earn the respect of others. And you’ll know you did the right thing. I hope you’re not living in a state of relative truth. I hope and pray you’re living a life of truth. 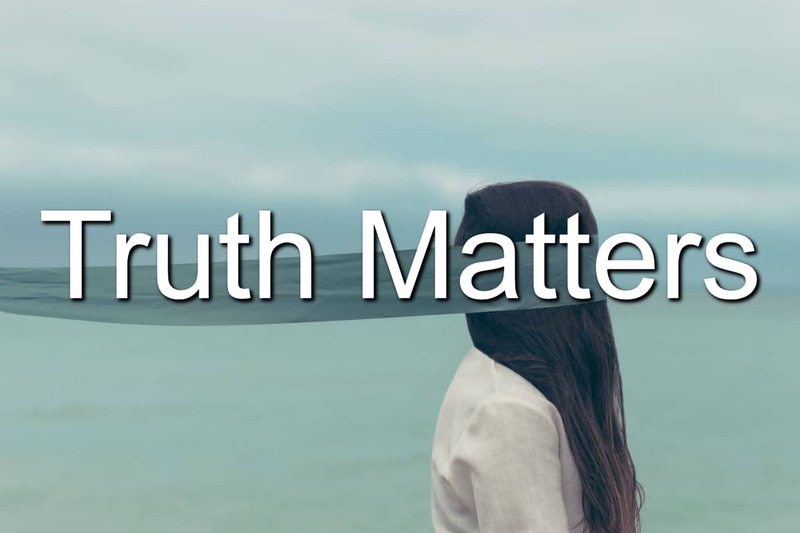 Question: Why does truth matter to you?